Fun. That’s a word I keep hearing over and over again when folks talk about the G 650 GS from BMW. Made-over in 2010 for the 2011 MY, this member of BMW’s 2016 adventure stable is at home on back roads and easy off-road terrain. This single-cylinder enduro ride has a gutsy little engine and suspension to match whether you’re on-road or tearing up the dirt. 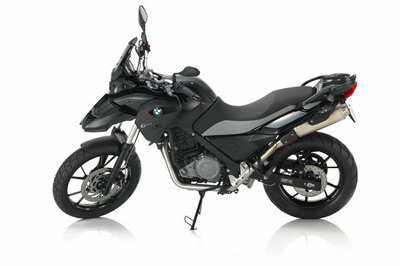 Continue reading for my review of the BMW G 650 GS. Yeah, it’s not a big engine. The flipside is that the fuel economy isn’t tragic. At 74 mpg using regular unleaded and 3.7-gallon capacity in the fuel tank, it’s a pretty economical ride; you might even want to call it a commuter. Hit the accessories catalog for some bags and you can stash a book bag or a briefcase and away you go. With the low seat option of just over 30 inches, this G 650 GS has a relatively low seat height for the adventure stable. That opens up the market for less-than-tall folks who might otherwise be relegated to street bikes or dinky off-road rides. On paper, the torque might seem a little lackadaisical; but believe me, it’s there and ready when you are, even when you’re at speed and swing out to pass. The powerband seems very well tuned and right where it needs to be. 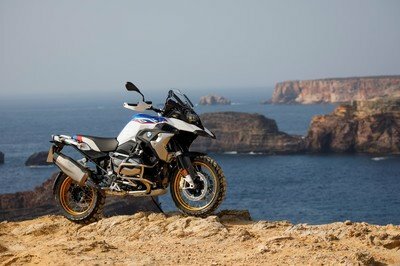 BMW has been in the business for a while now, and it knows what it takes to make an off-road capable bike. Dirtbike riders have long extolled the virtues of a steel frame. The steel frame members flex just a bit to absorb some energy and take the edge off particularly rough bumps, and that’s just what the factory used on this ride. A bridge-type frame supports the structure, while a bolt-on subframe finishes out the tail, leaving us with a stiff yet somewhat forgiving ride. Suspension is another area that comes set up for off-road action. Big, 41 mm hydraulic forks support the front, and they come with a stabilizer bridge to help combat front-fork deflection under heavy loads. A two-side, yoke-style, steel swingarm with a rectangular cross section completes the skeleton with a coil-over monoshock on suspension duties that come with adjustable rebound damping and a handwheel for a hydraulic, spring-preload adjustment. Suspension travel measures out at 6.7 inches at the front wheel and 6.5 inches at the rear for a nice compromise between the needs of the streets versus the needs of the back roads. Though laced wheels are available as an option for the 2016 model year starting mid-year, the standard for both ’15 and ’16 is a set of cast-aluminum rims, a 19 inch up front with a 17er in the back. A twin-pot caliper binds the single, 300 mm front disc, but you’ll have to squeeze it hard to find the stopping power. 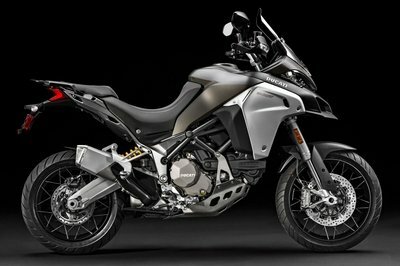 A single-pot caliper pinches the 240 mm disc in back with the BMW Motorrad anti-lock brake system as a safety net. The ABS can be turned off for off-road maneuvers, or if you simply want complete, old-fashioned brake control. The weight inherent with large-displacement engines soaks up some of the power said displacement lends them, and so sometimes big enough is, well, big enough. 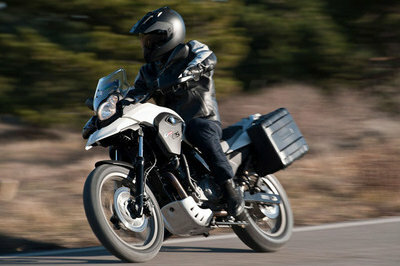 So it is with the 652 cc thumper in the the G 650 GS. This water-cooled mill runs a 100 mm bore and 83 mm stroke with dual overhead cams to actuate the four valves in the dual-spark head. Electronic fuel injection and a closed-loop catalyst in the exhaust system helps maintain fuel efficiency and meet strict EU-3 emissions standards. Power numbers are as follows; 50 ponies at 6,500 rpm and 44 pounds of grunt at 5 grand. Not exactly going to set the world on fire, but it should be thrilling enough given the light overall weight of the bike. Plus, if you plan on using it off-road, its not a matter of if you are going to have to try and pick it up, but when, and the extra power from a larger mill won’t help you one iota at that point. A straight-up clutch couples the five-speed transmission to engine power, and though BMW declined to use any sort of slipper technology in the clutch, I have to admit that it’s really not necessary here, or even necessarily appropriate. The final drive is a tough, chain-and-sprocket setup that should hold up well no matter what terrain you prefer to ride upon, unlike belt drives for instance, that are actually quite vulnerable to rock damage. 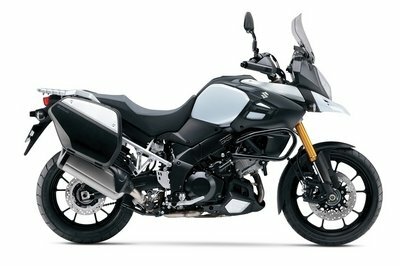 You can score a 2016 G 650 GS for $7,995. That’s $100 over the 2015 MY. While they don’t really say off-road tourer to me like the big adventure bikes do, I really like these littler versions. I guess they’re more enduro than tourer, but still a lot of fun in the dirt. 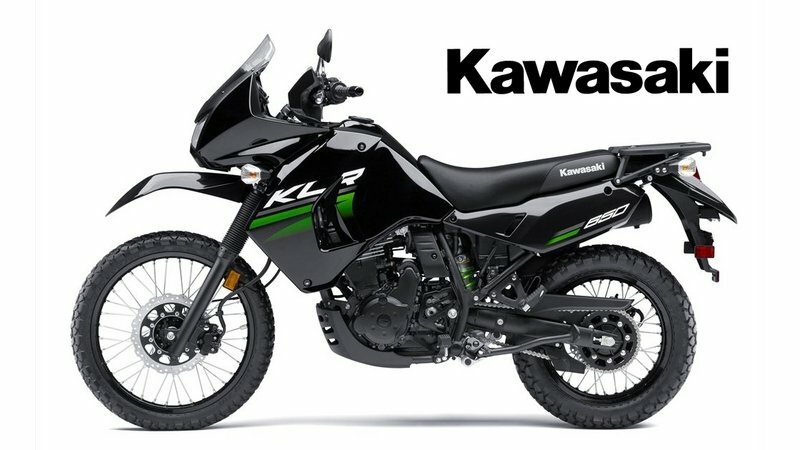 Staying in the range of a 650 cc engine, I’m going to look at the KLR 650 from the green folks over at Kawasaki. Looks-wise, my two competitors both fall within the stereotypical, dual-sport format. Upright rider triangles, small front fairings with windscreens and a bird’s-beak fairing are consistent across the board. A minor difference between the two concerns the front fender. The BMW carries a true bird’s-beak fairing with the beak as a fixed, integrated member of the fairing itself with a smaller fender mounted on the fork sliders while the KLR mounts the fender on the tripletree, so it swings with the steering. I feel like the close-fender arrangement on the BMW might control water fling better than the Kawi’s elevated setup, but the kink in the end of the KLR’s fender looks like it probably works well enough to control the worst of it. 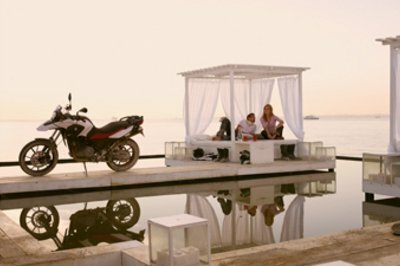 The KLR certainly comes across as more of an off-road machine, while the G 650 GS seems to be a bit more street-centric in nature. This shows up in a number of places, most notably in the tires and suspension. 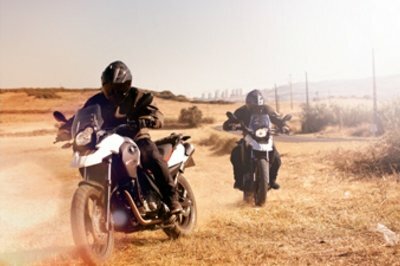 BMW gave the G 650 GS a 19-inch hoop up front, which is plenty for street riding, but the KLR runs a 21-incher that is definitely better for rough terrain. It bears out in the suspension travel as well. 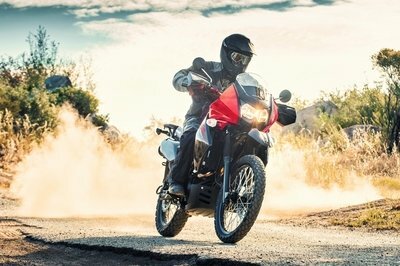 The BMW gets 6.7 inches front and 6.5 inches rear, certainly more than most street bikes and sufficient for moderate terrain, but the KLR boasts 7.9 inches up front and 7.3 inches in back, definitely creeping into rougher territory. 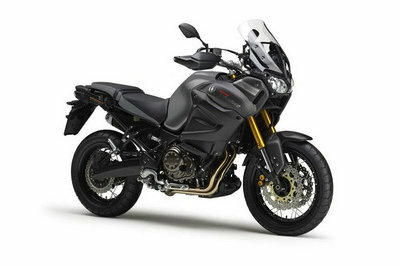 But to be fair, the stated mission for the G 650 GS is that of back-roads travel, so one can hardly blame it for the shorter stroke, it simply wasn’t built for quite the same purpose as the KLR. 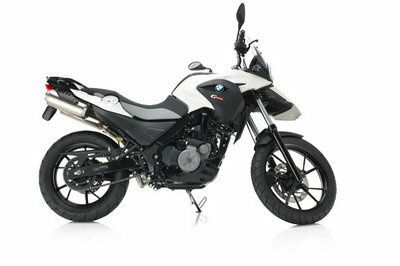 Of the two, BMW alone offers ABS, and the G 650 GS comes with more braking power with a 300 mm front disc compared to the dirtbike-like 254 mm disc on the KLR. Both engines come in the one-lung, “thumper” configuration, and share an identical bore and stroke at 100 mm by 83 mm. The BMW claims one extra cube over the 651 cc Kawi, no doubt a difference in piston shape explains away the discrepancy in displacement. Beyond that, both mills run DOHC and water jackets, but while the BMW runs fuel injection, the KLR aspirates through a good, old-fashioned carburetor. I hate to say it, but I still prefer carbs, because at least I can diagnose and repair them on the side of the road. Fuel-injected intakes, not so much without some equipment at hand, which you don’t usually have out in the woods. 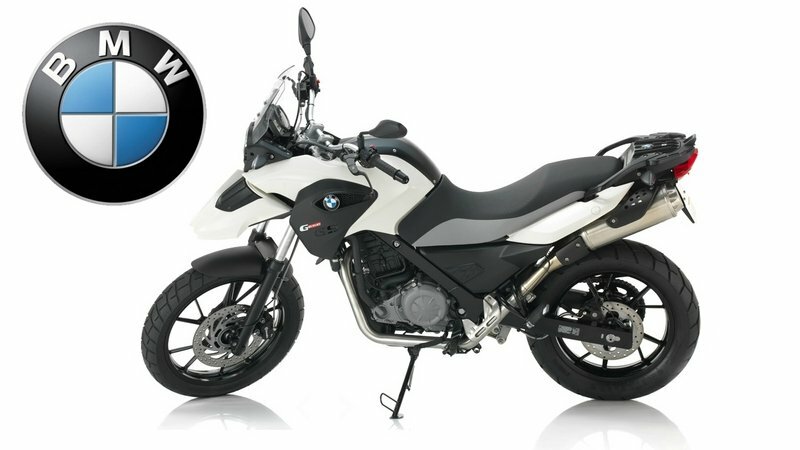 BMW comes off just a little proud at the sticker at $7,995 while the KLR can be had for $6,599. While this represents a potentially significant bump for buyers on a tight budget, I would point out the ABS is worth something, and to many the fuel injection is a draw as well, so you get what you pay for.